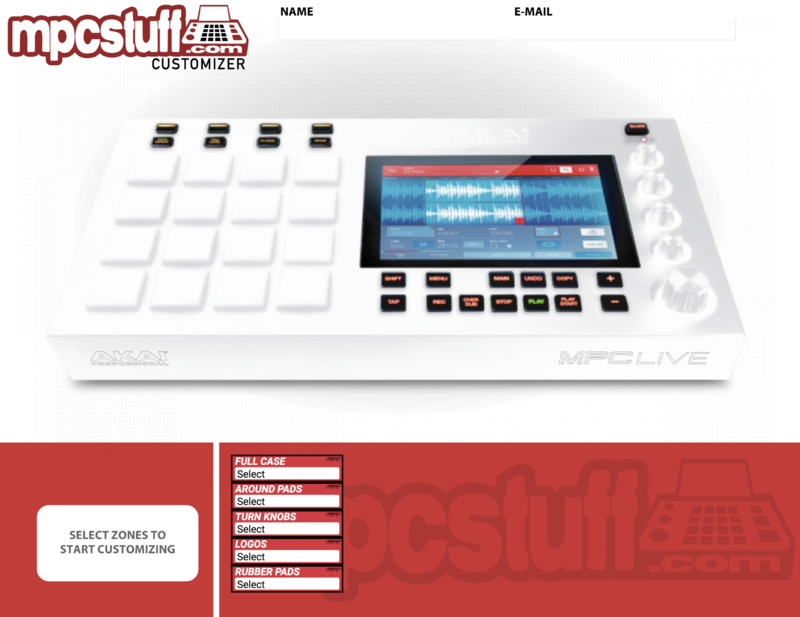 Make selections below to create your own personalized custom Akai MPC Live. This do-it-yourself customizer can help you to create your dream unit. With many options to customize colors for knobs, buttons, casings, LCD screens, logos, pads, skins, and many more. If you have any questions about using this customizer please email us at sales@mpcstuff.com.